Artisan flooring are the specialists in high-quality natural flooring products, wall to wall installations and tailor-made rugs and runners. Artisan flooring has developed an exclusive range of flooring products to satisfy all customers' needs. Inspired by the raw energy of our natural surroundings, the natural fibres used in tailor-made rugs, runners and fitted floor coverings are sourced from all around the world. Artisan Flooring offer you the best of what New Zealand has to offer providing high quality manufactured products for you to enjoy for years to come. Enjoy life the natural way. Autex is a New Zealand-based manufacturing and product development company specialising in textiles and advanced fibre technology. Autex is a New Zealand-based manufacturing and product development company specialising in textiles and advanced fibre technology, supplying a diverse range of consumer, commercial and specialty industrial products to markets all over the world. Established in 1967, Autex is founded on principles of innovation and outstanding customer service and committed to environmental best practice in everything they undertake. At the heart of this 200 year old brand is a genuine enthusiasm and pride for what they do. At the heart of this 200 year old brand is a genuine enthusiasm and pride for what they do. From palaces to hotels, restaurants to public buildings, convention centres to airports, over the years Brintons carpets have contributed to make the worlds’ most beautiful interiors. Brintons still stay true to their core values, offering all customers an outstanding experience through exceptional products and a fantastic service. People who understand the importance of lasting value choose Brintons. Carlisle Flooring has built a solid reputation for the wholesale supply of quality floor-coverings to more than 150 retail/contractor outlets throughout the length and breadth of New Zealand. Carlisle Flooring has built a solid reputation for the wholesale supply of quality floor-coverings to more than 150 retail/contractor outlets throughout the length and breadth of New Zealand. The product range includes residential carpets, Cadence residential designer carpets and Novilon residential vinyl flooring. Many of the products that Carlisle stock are European designed and offer a distinct point of difference in terms of quality and looks. Burgess Matting - Read More..
Burgess Matting & Surfacing Limited is widely recognised for the manufacture and supply of many different types of domestic, industrial, recreational and commercial matting. The Burgess Matting Wet pour system for Playgrounds is one of the leading playground systems available in New Zealand. Cavalier Bremworth - Read More..
Cavalier Bremworth specialises in making New Zealand's finest quality wool carpets, designed to suit your contemporary lifestyle. With more than 50 years in this business, they offer a wide range of residential and commercial broadloom wool carpets. There are more than 40 carpet styles to choose from, with the combinations of colour, pattern and texture cover the classics through to the strongly contemporary. Wool carpet provides a sense of welcome and calm - a touch of softness in a hard-edged world. It is naturally beautiful, 100% sustainable fibre, fire resistant, easy to clean, environmentally friendly, naturally non-allergenic, reduces energy costs, noise insulation and breathable. Cavalier Bremworth also manufacture “STAINMASTER®”, a solution dyed nylon loop pile specially made to resist fading from sun exposure. “STAINMASTER®” features a mix of stippled and plan yarns in its colour range. Cork Supplies - Read More..
Cork Concepts provides luxury eco flooring in unlimited colours and various sizes. Cork gives you a warm, comfortable and soft floor. It insulates the home and is durable for commercial projects. For a designer floor tile that is good for your feet, your health and the planet, choose Cork Concepts prefinished flooring. Cork floor tiles are the ultimate in ‘upcycling’. Made from the cork that’s left over from the more lucrative production of wine bottle corks, cork floor tiles are essentially a waste product, made good. They’re also from a completely renewable resource. Like shearing a sheep, bark is stripped from the cork oak tree, leaving the tree standing. Cork comes from ancient Mediterranean forests. It is a totally natural, renewable and recyclable product. Cork harvesting is one of the most environment-friendly processes in the world. Cork forests support one of the highest levels of biodiversity in the planet, including the critically endangered Iberian lynx, the Iberian imperial eagle, the Barbary deer, many species of rare birds as well as many fungi, ferns and other plants. They also play a key role in maintaining watersheds, preventing erosion and keeping soils healthy. Bamboo is an astonishingly renewable resource - making it the flooring choice of today for tomorrow’s planet. The Ecodure Oak flooring range offers a perfect solution for both contemporary and classic interiors. Unlike traditional hardwoods, which can take 30-50 years to mature and are killed when felled, bamboo quickly sprouts again and grows back to full maturity in just 4-5 years. In fact, as a member of the grass family, bamboo thrives when it is regularly harvested. Bamboo has stood the test of time, having been used for thousands of years in construction. Increasing awareness of the eco-friendly qualities of bamboo (and its cost-effectiveness) has led to it being used for a wide range of other premium natural products. The Ecodure Oak flooring range offers a perfect solution for both contemporary and classic interiors. It’s beautiful, durable, cost-effective, quick and simple to install and easy care. Best of all Ecodure Oak is asthma and allergy friendly. The flooring is tongue and grove which comes in wide boards (189mm) and is fully factory finished and ready to install – which means no sanding or polyurethaning during installation. Established over 70 years ago, Feltex Carpets provides consumers with innovative, high quality and stylish floor-covering solutions. Feltex Carpets - Read More.. Established over 70 years ago, Feltex Carpets provides consumers with innovative, high quality and stylish floor-covering solutions. Feltex Carpets have built a reputation for being one of New Zealand’s leading carpet manufacturers, through consistently providing consumers with innovative, high quality and stylish carpet solutions. The privately owned Feltex operation includes spinning mills, dye houses, design studios and carpet manufacturing mills. In March 1994 Feltex Carpets became the first carpet manufacturer in Australasia to become an Environmental Choice licensed supplier for the manufacture of wool pile and wool-rich pile carpets, which demonstrates the company’s long-standing commitment to minimising its impact on the environment. The complete range of Wool based Carpets, Synthetic Carpets, Carpet Tiles and Axminster Carpets is available from Rangitikei Floorings. Floorspace want to help people design great buildings and aim to achieve this by understanding your creative vision and helping to transform it into a great finished product. A high level of expertise is essential, as is a sense of style and having fun in what they do. Floorspace understand their market and products, their value and limitations and by promoting them honestly, customers will always get the best result. Floorspace is a commercial flooring distributor committed to providing you with inspiring designs and accurate information in a consultative manner. Selecting the right flooring products to create stylish and successful projects requires expertise and relevant technical advice, combined with a clear understanding of sustainability and logistics within an overall design vision. This is what Floorspace bring to all of their projects, large or small, to deliver the best floors to you on time and with the highest quality brands available. Forbo Flooring Systems is a global market player in project vinyl and linoleum floor coverings, where it has a market share of over 60%. Forbo Flooring Systems - Read More..
Forbo Flooring Systems is a global market player in project vinyl and linoleum floor coverings, where it has a market share of over 60%. Offering a complete portfolio of products including environmentally sustainable Marmoleum and specialist commercial vinyl’s designed for office, education, retail, health and aged care projects. Forbo focus on high quality, design orientated solutions that offer low lifecycle costs, durability and world leading environmental performance. Forbo Flooring Systems is part of the Swiss Forbo Group and owns 14 manufacturing plants and branches in 32 countries worldwide. Godfrey Hirst New Zealand Limited is a member of the Godfrey Hirst Group of companies. Godfrey Hirst - Read More..
Recognised as one of the top carpet manufacturers in the world, the Godfrey Hirst Group has spinning mills, dye houses, design studios and manufacturing plants in New Zealand, Australia and the United States of America. The utilisation of world class technologies in continuous dyeing and high resolution printing facilities, comprehensive yarn extrusion and twisting methods, as well as state-of-the-art tufting equipment and finishing lines, means the Godfrey Hirst Group produces innovative broadloom commercial carpets and carpet tiles manufactured to the highest standard. Irvine is unique in that if they don't have the carpet, carpet tile, rug, vinyl or vinyl tile you are after, the chances are they will especially make it for you. Their total carpet range is produced to extremely stringent specifications and they are continually adding new styles, constructions and colours. Working closely with international market leaders enables them to provide alternative carpet options and specialty flooring solutions. Irvine has been producing both domestic and commercial flooring solutions since 1964 and is proud to be 100% New Zealand owned. A passion for innovation, an obsession with quality, a thirst for knowledge and half a century of experience define Jacobsen as New Zealand’s leading floor specialist. This is a visionary, family owned company that brings unrivalled expertise and a range of the world’s best brands to the task of making concepts a reality. Jacobsen’s residential products are excellent value for money, backed by strong warranties and are available through Rangitikei Floorings under the Studio brand. Jacobsen also sells carpet, wood laminate planking and residential & commercial vinyl through Rangitikei Floorings. Inspired by nature and designed for living, you'll find that these floors are beautifully realistic and highly practical. Karndean Design Flooring can provide you with the perfect floors for your space, your needs and your style. Karndean Design Flooring is a world leader in recreating the look and feel of natural flooring products such as wood and stone in practical and durable luxury vinyl tiles for both residential and commercial applications. At Norman Ellison, we know carpet. We’ve been making it since 1975 and you can be assured that by choosing a Norman Ellison carpet, you are not compromising on quality, style or value. Norman Ellison - Read More.. Combining both comfort and practicality, our wide range of carpet styles, colours and textures has something to suit every style of home décor. Our carpets are of the highest quality and carry independent gradings from the Australian Carpet Classification Scheme. But our dedication doesn’t end there as our manufacturing plant has a management system certified to ISO 14001 standards. 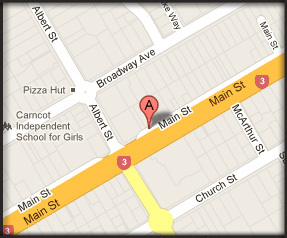 Norman Ellison Carpets is 100% owned by Cavalier Corporation, a company listed on the NZX since 1983. Established in 1977 - Newflor is an active privately owned Company, specialising as a supplier of Interior Floor covering to the New Zealand market. Newflor import their products from world leaders in their field - and offer decorator solutions where Vinyl Floorings are your choice. The ranges are extensive, covering all styles and colours in both Traditional and Fashion trends. Plantation challenges the status quo of traditional hardwood flooring projects. They understand the customer’s desire for sustainable products that are truly hard wearing and that do not compromise on beauty or aesthetics. Plantation bamboo wooden flooring is a stunning, cost effective, durable and simple to install product. It is also a sustainable alternative to native & exotic hardwood flooring materials such as Matai, Rimu & Tawa. Premium quality Plantation bamboo products for residential and/or commercial applications are available from Rangitikei Floorings. Polyflor is ‘flooring design for a better environment’. It is the first commercial flooring organisation in Australia and New Zealand to have achieved Ecospecifier’s ‘Green Tag’ LCA certification, making it the only vinyl flooring to achieve maximum rating points in the Green Building Council of Australia (GBCA) and New Zealand Green Building Council (NZGBC). Polyflor prides itself on embracing the meaning of local content through the people they employ and the quantum of skills, knowledge and technologies introduced into the local workforce. For almost 50 years Polyflor have been providing Australia and New Zealand with resilient and safety flooring to suit any commercial application. Premium Flooring is the New Zealand importer of the ‘The Mohawk Groups –Lees, Karastan, Bigelow and Durkan brands, offering the widest range in New Zealand. They provide high performing flooring products along with an unequaled caliber of design specifically for commercial use. Premium Flooring - Read More.. Global Leaders in innovative flooring solutions, Project Floors design, create, and manufacture product especially for New Zealand. Project Floors - Read More.. Bringing tomorrows tastes and flavours to today’s floors. Global Leaders in innovative flooring solutions, Project Floors design, create, and manufacture product especially for New Zealand. They have a stunning range of contemporary, classic and modern looks. The Project Floors collection has that WOW factor that will not only look amazing but will increase the value of your home or commercial project with whatever style or design you choose. The Robert Malcolm residential carpet division has a wide range of different styles and colours available in wool carpets and also a selection of solution dyed nylon residential carpets. Robert Malcolm residential hard flooring have a large number of residential heterogeneous vinyls available in varying widths, being two-metre, three-metre and four metre, as well as an extensive range of residential hot pressed tiles. The Commercial Products cover a broad spectrum and include synthetic carpets (predominantly nylon and polypropylene, synthetic carpet tiles, heterogeneous and homogeneous commercial vinyls) as well as a range of commercial hot pressed tiles. Sallěe Carpets began back in 1969, with unique looms designed to craft the highest quality carpet. Those looms have been working hard ever since, imparting the attributes that only come when combining pure New Zealand Wool with craftspeople that understand what it means to produce the best carpets in the country. Sallee Carpets - Read More..
Sallěe Carpets are not interested in taking shortcuts and are still using the same machines – four Sallée Loop Pile Looms since day one. There are also two cut-pile pass machines, although they don't have fancy names; we just call them number 1 and number 2. Sallěe Carpets make great and unique custom carpets with the best of New Zealand wool. Everything processed at the Sallěe mill has always been, and still is, pure wool. Today, they only manufacture using Pure New Zealand Wool and through their traditional yarn supplier they know exactly who is supplying the wool for their custom carpets. TigerTurf - Manufacturers of genuine Astrograss, New Zealand's only synthetic grass and synthetic turf manufacturer. Tiger Turf - Read More..
TigerTurf - Manufacturers of genuine Astrograss, New Zealand's only synthetic grass and synthetic turf manufacturer. Tiger Turf’s reputation has been built over 24 years under the Astrograss brand. Tiger Turf have designed and provided all weather services for tennis, hockey, schools, bowls, golf, cricket, kindergartens and landscaping. Inspired by nature and created to meet the design needs of any space, Torlys Laminate Floors will stay beautiful for decades. Inspired by nature and created to meet the design needs of any space, Torlys Laminate Floors will stay beautiful for decades. Richly textured to look and feel like hardwood, Torlys Laminate brings a welcome elegance to hard-wearing surfaces known for their durability and long life. Torlys offers five distinctive laminate flooring collections, each created to fit your design taste and lifestyle. The collections offer style aesthetics with smooth and textured finishes, narrow and wide planks, domestic and exotic wood variations. Torlys Smart Hardwoods are uniquely beautiful and perfectly stable, offering environmentally- friendly innovation that optimizes our hardwood resources. Luxuriously Soft, Naturally Comfortable and Beautiful to look at, Torlys Cork floor are easy to care for; quiet, soft and warm to the touch, yet durable enough to handle all kinds of house hold traffic. Inspired by the quality of fine Italian leather, Torlys has created a distinct collection that redefines contemporary, beautiful flooring. Torlys Leather Floors are exciting, sensuous, and affordable. Torlys Leather is made from 100% recycled leather - carefully made to high environmental standards and perfected to withstand the test of time. Your peace of mind is assured with a 25-year residential wear warranty. TerraWood is the latest development in engineered flooring from Torlys. The product’s durability makes it a great choice for active families, for any room in the house, particularly family rooms, living rooms, kitchens, playrooms, kids’ rooms, laundry rooms and basements. Similar to all new products from Torlys, TerraWood comes with beneficial acoustical and insulating cork backing, which also means that TerraWood does not require underlay when installed. Every floor is prefinished, produced with the Uniclic® joint technology and is environmentally friendly. Torlys look at how they can create a smaller footprint every step of the process. Preserving heritage is their focus whilst nature is their inspiration, this starts with technology and ends with beautiful, long-lasting floors. Young & Robins - Read More.. Starting over 3 generations ago the Young family worked for the original producers of Nairns flooring in Kirkcaldie, Scotland. The current company - formed in 1998 - with Janice Young and Martin Robins, have noticed that changes over time have not diminished the fashion and flair required to continue sourcing the best flooring products from around the world. Ranges now include resilient sheet vinyl of all widths - 2mtr, 3mtr, 3.66mtr and 4mtrs all of which are available from Rangitikei Floorings.